Cos Labory is one of the smallest of the Cru Classé châteaux in Bordeaux. This 5ème Cru Classé St-Estèphe property has been in the hands of the Audoy family since the beginning of the last century - today it is owned by Madame Cécile Audoy and managed by her son Bernard. The main part of the 18-hectare vineyard is a long, thin strip, located just to the west of Cos d'Estournel, with the rest being near Lafon Rochet. 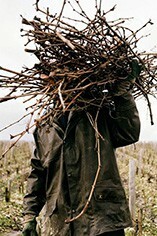 The average age of the vines in the vineyard is 25 years and the wine is typically a blend of one third each of Cabernet Sauvignon, Cabernet Franc and Merlot, with sometimes a small proportion of Petit Vedot. The grapes are fermented in enamel-lined concrete tanks and the wine is aged in small bariques (30-50% new) for 18 months. Cos Labory is never the most full-bodied of St-Estèphes, possibly due to the relatively high proportion of Cabernet Franc in the blend. However, the last 10 years have seen a move towards a more substantial style and the wines now are some of the best (and most sensibly priced) in St-Estèphe today.